The institution of marriage is as old as civilization itself. The reason to get married and the reason to celebrate that union are different now. One difference is there wasn’t luxury limo service centuries ago. Love was not the reason people got married in the early days. Tying the matrimonial knot was more about acquiring land or getting together with in-laws who could help people get a start in life. The reasons for marriage and the yearly celebration or anniversary of that union went through a transformation in the 5th century. That’s when the church got interested in the marriage ceremony. And by the 12th century, marriage was a sacrament that linked two people for life. Each year, for the last 900 years, on the anniversary of that ceremonious day, people relive the excitement and the special feeling of exchanging vows in a way that brings them closer together. Our limousine anniversary package is one way to celebrate that special bond. Our anniversary packages vary depending on our client’s plans. We like to design an anniversary limousine package, so they fit your special union plans. And we do that by offering luxury limo service that goes above and beyond the typical Modesto car service that picks people up and drops them off at an airport or some corporate event. All our anniversary clients pick the type of vehicle they want for their celebration. We have a fleet of luxury vehicles that make people want to ride in them. 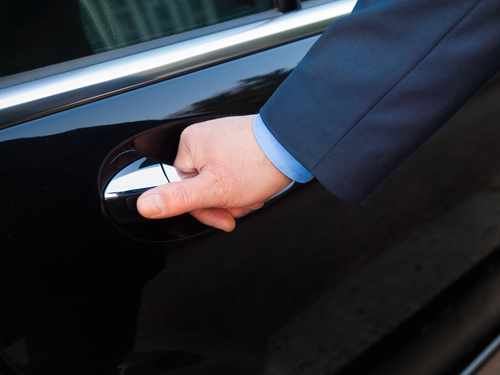 And our professional chauffeurs know how to cater to our limo guests without violating their privacy. We like to tell our clients an ordinary limo in Modesto Ca can take you where you want to go, but our chauffeurs and luxury fleet of decked-out vehicles help take you on that magical mental journey back in time to the day your life changed forever. Our anniversary limousine package allows you to reminisce in comfort and bask in the freedom of being alone to share the love that gets stronger every year. Starting an anniversary celebration with us is not for people who have a hard time appreciating good taste and excellent service. We built our company one client at a time, and our chauffeurs understand that each client is part of our extended family. Plus, we quietly celebrate with our anniversary guests, but we don’t infringe or try to push our service on them with crazy gimmicks and marketing perks. We offer our clients comfort, reliability, safety, and personal service whether it is a first-anniversary celebration or the golden 50th anniversary. We take our anniversary clients anywhere they want to go, but we do in a way that sets the mood for the rest of the day or evening. Some folks go to the airport to catch a flight to an enchanting destination. Other people ask us to take them to their favorite restaurant and wait for them. But there are folks that just want to party with a few friends at their favorite bar across town. We help make the magic happen regardless of the final destination in our chauffeur-driven luxury vehicles. Many of our loyal clients use our anniversary limo packages every year, and we always come up with something new and special for them.